If you haven’t had your hearing checked since your grade school days, you’re not alone. Regrettably, we have a habit of treating hearing loss reactively rather than proactively, and a regular adult physical usually doesn’t include a hearing test. The majority of people neglect hearing loss, even when they are aware of it, for up to seven years which can severely impact your health. As a matter of fact, untreated hearing loss has been shown to increase your healthcare costs over time. The good news, So that our hearing experts to assist you, we recommend a hearing test which is simple, painless and supplies a wealth of important information. Both to learn if interventions such as hearing aids are helping you and also for diagnosing potential hearing issues. A full audiometry test is more involved than what you may remember from childhood and you won’t get a lollipop or a sticker when it’s finished but you’ll get a much clearer understanding of your hearing. It’s essential that you routinely have your hearing checked even though you might not normally give your hearing as much consideration as your teeth or eyes. It can be a long time before you notice that there is something wrong with your hearing. Loss of hearing usually occurs slowly, and the earlier you recognize an issue with your hearing, the sooner you might be able to deal with it. How do You Know When to Get Examined? Normally the hospital will screen infants for hearing loss before they send them home. Teenagers should be tested during routine exams with their physicians and children should get formal hearing exams at the ages of 4, 5, 6, 8 and 10 years old according to The American Academy of Pediatrics. If you are in between the ages of 18 to 45, it is recommended that you get your hearing tested every five years and then more often as you get older. After you turn 60 you should get checked every two years and if you are between 46 and 60 every three. But you may need to get checked more often. The regularity with which you need to get tested will really depend on your individual situation. If you notice your hearing isn’t what it used to be, you should have it tested immediately. Untreated loss of hearing has been linked to mental decline, depression and a greater risk of falls and other health issues. Your capacity to work effectively and your relationships can also be impacted. Whether you are at risk of hearing loss is another consideration. For example, if loss of hearing runs in your family or you are exposed to loud noises on a regular basis you should have your hearing examined more frequently. There are also more than 200 ototoxic medicines. From Aspirin to some antibiotics, these drugs can be very bad for your hearing. In order to make certain none of your medications are affecting your ears, consult your doctor. Consider having your hearing tested more often in order to address any hearing loss right away if you are taking any ototoxic medications. Also, consider your habits and whether they may contribute to hearing loss. Regularly using your earbuds? Hearing loss has significantly increased in younger people, and many experts think that this is due to the use of headphones and earbuds. Your ears can also be significantly harmed by loud concerts, shows, and machinery. If you think that it’s time for you to get your hearing examined, schedule an appointment today. Hearing loss isn’t just an issue for older people, despite the prevalent idea. Overall hearing loss is becoming more prominent in spite of the fact that how old you are is still a strong factor. Among adults aged 20 to 69 hearing loss stays in the 14-16% range. The World Health Organization and the United Nations recommend that more than 1 billion people globally aged 12-35 are in danger of developing loss of hearing. The CDC states that roughly 15% of children between 6 and 19 already have loss of hearing and the latest research indicates that that number is closer to 17%. Just a decade ago hearing loss in teenagers was 30% lower according to another report. Johns Hopkins conducted a study predicting that by 2060 over 73 million people 65 or older will have hearing loss. That’s a staggering increase over current numbers. We often think about hearing loss as a side effect of aging as it would develop slowly over years unless you spent extended amounts of time in a noisy setting. That’s why you aren’t surprised when your grandmother wears a hearing aid. But at a younger and younger age, our hearing is being effected by changes of ways of life. Technology, and smartphones, in particular, can have a significant impact on our hearing. Whether it’s talking to friends, listening to music, or watching movies, we are doing all the things we enjoy doing and using earbuds to do it all. Most people have no clue what is a damaging sound level or how long it takes to do damage and that’s a problem. Instead of taking steps to safeguard our ears, we often even use earbuds to drown out loud sound, purposely exposing our ears to hazardous noise levels. There’s an entire generation of young people everywhere who are slowly but surely injuring their ability to hear. In terms of loss of productivity, that’s a huge concern and one that will cost billions of dollars in treatment. Even young kids are usually wise enough to avoid extremely loud noises. But the nature of hearing damage isn’t popularly understood. The majority of people aren’t going to know that medium intensity sounds can also damage your hearing if the exposure is long enough. But hearing loss is commonly associated with aging so most people, particularly younger people, aren’t even concerned with it. It’s how long a sound lasts, not only how loud it is (warnings when you listen at a particular decibel level for too long). Built-in parental controls that let parents more closely monitor volume and adjust for hearing health. And that’s only the beginning. Paying more attention to the health of our hearing, many technological possibilities exist. The most important way to minimize damage to your hearing is to reduce the volume at which you listen to your mobile device. Whether your 15, 35, or 70, that holds true. Let’s face it, smartphones aren’t going anywhere. Everyone uses them all the time, not only kids. So we have to recognize that hearing loss has as much to do with technology as it does with aging. Which means we need to change the way we talk about, prevent, and treat hearing loss. You should also try downloading an app that measures decibel levels in your environment. 2 steps to protect your hearing. Making certain not to attempt to drown out loud noises with even louder noises and of course wearing ear protection. If you drive with the window down, for instance, the noise from the wind and traffic might already be at a harmful level so don’t turn up the radio to drown it out. As always, if you have questions about your hearing, come talk to us. It’s uncommon for people to get identical degree of hearing loss in both ears simultaneously. One ear is normally a little worse than the other, sparking many to raise the question: Do I really need a set of hearing aids, or can I simply manage the ear with more considerable hearing loss? One hearing aid, in many cases, will not be better than two. But there are certain instances, considerably less common instances, that is, that one hearing aid may be the right choice. Your ears efficiently function as a pair whether you know it or not. That means wearing two hearing aids has specific benefits over using one. Being Able to Localize Correctly: Your brain is always doing work, not only to interpret sounds but to place them so that you can determine where they’re coming from. This is much easier when your brain can triangulate, and in order to do that, it requires solid inputs from both ears. When you’re only able to hear well from one ear, it’s much more difficult to figure out where a sound is coming from (Which might be useful, for example, if you live next to a busy street). Improved Ear Health: An unused sense will atrophy in the same way as an unused muscle will. Your hearing can begin to go downhill if your ears don’t receive regular sound input. Get the organs of your ears the input they require to preserve your hearing by using two hearing aids. Wearing two hearing aids can also help decrease tinnitus (if you have it) and improve your ability to identify sounds. Modern Hearing Aids Work Together: Just as your ears work together naturally, modern hearing aid technology is made to function as a pair. The two hearing aids communicate with each other using state-of-the-art features and artificial intelligence to, similar to your brain, recognize which sounds to focus on and amplify. Tuning in on Conversations: If you’re using a hearing aid, the whole point is to help you in hearing. Other people conversing is something you will definitely need to hear. Wearing two hearing aids allows your brain to better tune out background noises. Because your mind has more available data your brain can figure out what is closer and consequently more likely to be something you would want to focus on. Are There Circumstances Where A Single Hearing Aid Is Sensible? In the majority of circumstances, using a pair of hearing aids is a better option. But that begs the question: If somebody is wearing a hearing aid in only one ear, why? One Ear Still Has Perfect Hearing: If just one of your ears requires a hearing aid, then you may be best served by having a hearing aid in just one ear but it’s certainly something you should talk to your hearing professional about (having one better ear is not the same as having one perfect ear). Financial concerns: Some people feel that they can spend less money if they can wear just one hearing aid. If you really can’t afford to get two, getting one is better than not getting one at all. Still, you should recognize that over time untreated hearing loss has been confirmed to raise your overall healthcare expenses. Even neglecting hearing loss for two years has been shown to raise your healthcare costs by 26 percent, and ignoring any hearing loss in one ear will elevate your chances of things like falling. So speak with your hearing specialist to make certain getting only a single hearing aid is a smart plan for you. Discovering ways to help make hearing aids more affordable is an additional service we offer. In the vast majority of situations, however, two hearing aids are going to be healthier for your ears and your hearing than just one. The benefits of having strong hearing in both of your ears are simply too many to dismiss. In most cases, just like having two ears is better than having only one, having two hearing aids is definitely preferable to having only one. Make an appointment with a hearing care pro to have your hearing tested. Safeguarding your hearing is similar to eating the right way. It sounds smart, but not many of us have a good concept of where to start. This is particularly true if you don’t think your daily environment is very noisy and there aren’t any apparent risks to your ears. But daily life can stress your ears and your senses, so your auditory acuity can be preserved if you practice these tips. If you want to keep enjoying the sounds around you, you should do everything you can to impede down the impairment of your hearing. The most simple and practical way that you can safeguard your hearing is to protect your ears. This means that reducing loud and dangerous sound is a basic step you need to take. Neither form of hearing protection is inherently better than the other. Each type has its advantages. What’s significant is that you get some hearing protection that you feel comfortable with. But how can you tell when to use hearing protection? We’re used to connecting dangerous noise with painful noise. But much lower volumes of sound can injure your ears than you might believe. The sounds of traffic, for instance, are loud enough to start damaging your hearing after only a couple of hours. 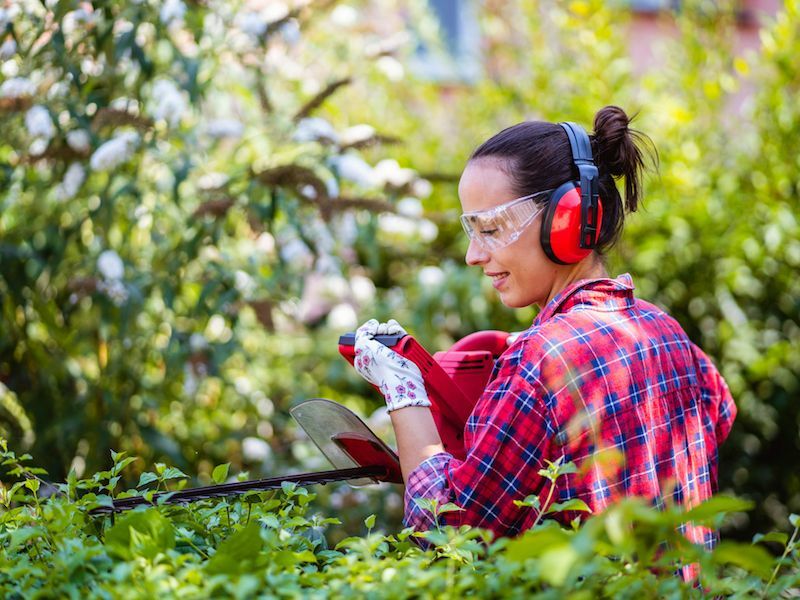 An important step in protecting your hearing, then, is recognizing when sound becomes dangerous. 85 decibels (dB): After about two hours this level of sound is hazardous.This is the level of sound you’d expect from a busy city street or your hairdryer. 95-100 dB: This is the typical level of your earbuds or the level of farm equipment. This level of sound becomes damaging after 15-20 minutes. Over 100 dB: Your ears can be very quickly injured by this. Damage is done in about thirty seconds with sounds above this threshold. As an example, jet engines and rock concerts will injure your ears in 30 seconds. Now that we have a general understanding of what levels of noise could be harmful, we can take some precautions to ensure we minimize our exposure. The trick is that, once you’re out in the real world, it can be hard to gauge what’s too loud and what isn’t. In order to get an understanding of what harmful levels of noise actually sound like, use your sound meter to confirm the decibel level of everything you are hearing. A smartphone with earbuds is normally the way people listen to music these days. Your hearing is put in danger with this combination. 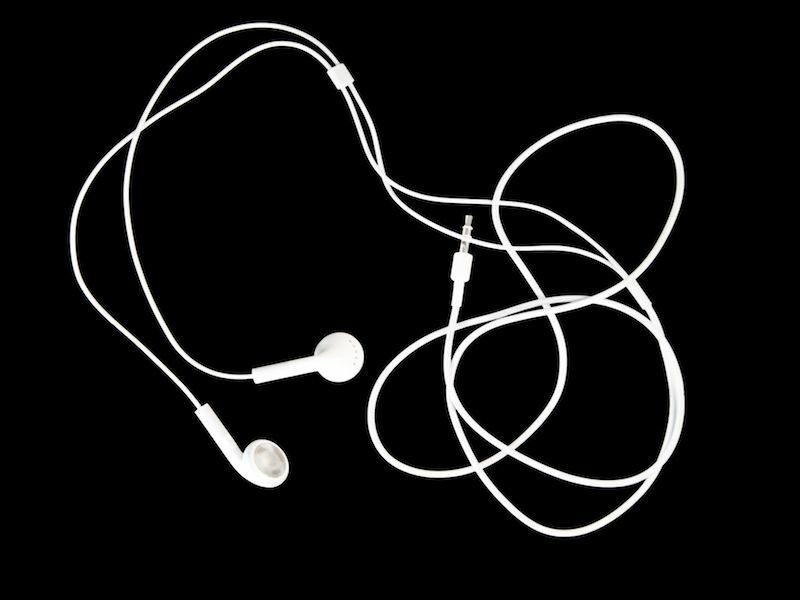 Your hearing can be significantly harmed if you set your earbuds to high over a long period of time. That’s why safeguarding your ears means keeping a focused eye on your volume management. You should not raise the volume in order to drown out sounds elsewhere. And we suggest using apps or configurations to ensure that your volume never accidentally become dangerously high. If your hearing begins to decline, earbuds can become a negative feedback loop; you could find yourself consistently raising the volume of your earbuds in order to compensate for your faltering hearing, and in the process doing more harm to your hearing. You might think of a hearing exam as something you get when your hearing has already begun to decline. Without a standard to compare results to, it’s not always easy to identify a problem in your ears. Scheduling a hearing screening or exam is a great way to generate data that can be used for both treatment and diagnostic purposes, ensuring that all of your future hearing (and hearing protection) choices have some added context and information. It would be perfect if you could always protect your ears without any issues. But challenges are always going to be there. So protect your ears when you can, as often as you can. Also, get routine hearing examinations. Put these suggestions into practice to improve your chances. In our modern society, putting off health care is a scenario that occurs more often than we’d like to acknowledge. Consider people who disregard their own health care so they can obtain protection for their children. You can say the same for the working professional who refuses to cancel a meeting to fit in a doctor’s appointment. Then there are those who abide by an “ignorance is bliss” approach and avoid the doctor’s office for fear of what they could hear. But what would you do if you needed more than just your annual preventive flu shot or something to ward off a sinus infection? If you woke up one day and had total loss of hearing in one or both ears what would you do then? If your answer is just to wait it out until your hearing comes back, chances are it never will. Hearing experts warn that if you don’t have sudden temporary hearing loss taken care of immediately, especially if it’s at the nerve level, it may become permanent. Sudden hearing loss is more likely to happen than is commonly recognized. As a matter of fact for every 5,000 people, between one and six are estimated to experience sudden hearing loss. That said, the NIDCD warns that the amount of undiagnosed cases would cause that figure to go up if you were to include them. This means that this year around 400,000 Americans or more could develop sudden loss of hearing. Sudden hearing loss can actually happen over a few hours or days so the term is a bit of a misnomer. Doctors are usually unable to figure out the cause as it occurs over hours or even days. The unfortunate truth is that only around 10 percent of people diagnosed with sudden hearing loss have a cause that can be identified. Infections, head trauma, autoimmune diseases, exposure to certain drugs, blood circulation problems, neurological disorders and disorders of the inner ear are some of the most common causes that hearing specialist can pinpoint. As stated, getting treatment as soon as possible after the onset of sudden hearing loss gives you the best possibility of recovering at least some of your normal function. In situations when the cause is unknown and in many other cases, the normal course of treatment consists of corticosteroids. Minimizing the swelling and reducing inflammation is the goal as with all steroid usage. The recommended method of treatment has changed since researchers have done more studies on sudden loss of hearing and medicine has advanced. Pill form is how these steroids were historically prescribed, but this presented a challenge for people who were not able to take oral steroids and those who were leery of the side effects associated with the medication. A 2011 clinical trial supported by the NIDCD found that an injection of steroids through the eardrum proved to be just as effective as oral steroids, even allowing the medication to go straight into the inner ear, without the disadvantage of the oral alternatives. These injections have now become a common method of treatment in the offices of ear, nose and throat specialists around the country. Another reason why getting prompt medical care is so important is that your doctor may order a panel of tests that could diagnose the underlying issue behind your sudden loss of hearing or another threatening condition. These tests can even determine whether you can keep your balance as well as doing blood-work and several imaging techniques. Given the lack of solid information around the cause of sudden hearing loss, ongoing research digs deeper into what may be the cause. New advancements with infusing drugs into tiny microspheres would provide a new technique of administering the steroids in what could be a safer way. While many aspects of sudden loss of hearing are still a mystery, researchers and medical experts have shown over and over that early treatment increases your chances of restoring the hearing you’ve lost. Contact a hearing professional if you have hearing loss of any kind. There are few conditions that are more complex to understand for those who don’t suffer from tinnitus. The problem with tinnitus is that if you are not afflicted with it, you won’t hear, see or feel the symptoms in the same way you would other conditions. But for the nearly 50 million Americans who suffer from some form of tinnitus, the problem is very real and is often very difficult to deal with. Tinnitus is best characterized as ringing in the ears, but the American Tinnitus Association says, it can present sufferers with clicking, whistling, hissing, swooshing, and buzzing. These sounds aren’t detectable by others and that might be the most disheartening part of tinnitus, which can lead to disorientation, delayed diagnosis, confusion, and depression. While that 50 million number is huge, it seems even more astounding when put in the context that it means about 15 percent of the overall public battles with tinnitus. A report released by the U.S. Center for Disease Control reports that 2 million of those individuals experience symptoms that are debilitating and extreme while another 20 million have what’s classified as burdensome and chronic tinnitus. In order to augment their hearing and drown out the ringing, people with tinnitus many times try hearing aids. There are commonplace things you can do to reduce the ringing along with wearing hearing aids. Caffeine; Here again, a rise in tinnitus levels comes along with this influence due to an increase in blood pressure. You will most likely notice a change in sleeping habits if you consume too much caffeine. 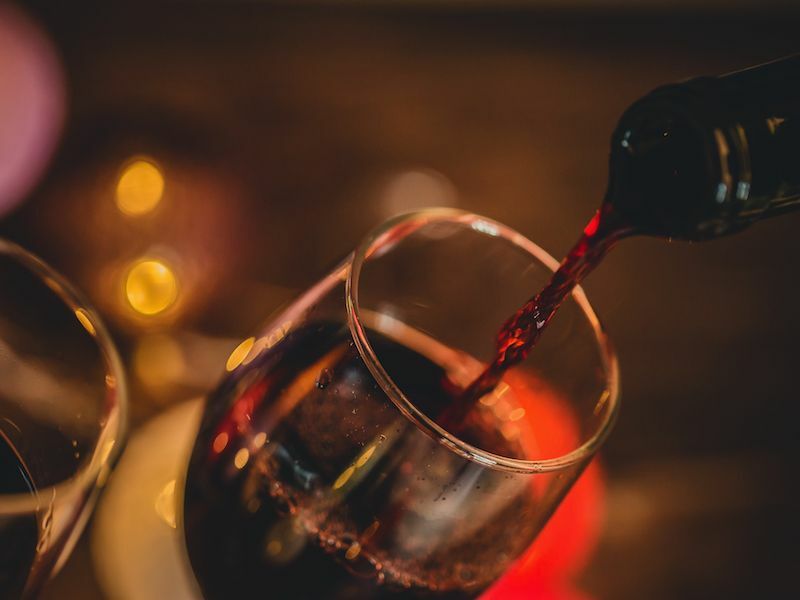 Alcohol; Your cholesterol and heart health can be positively affected by drinking a small glass of wine every day, or so the old saying goes. But when it comes to alcohol and tinnitus, you can have too much of a good thing. 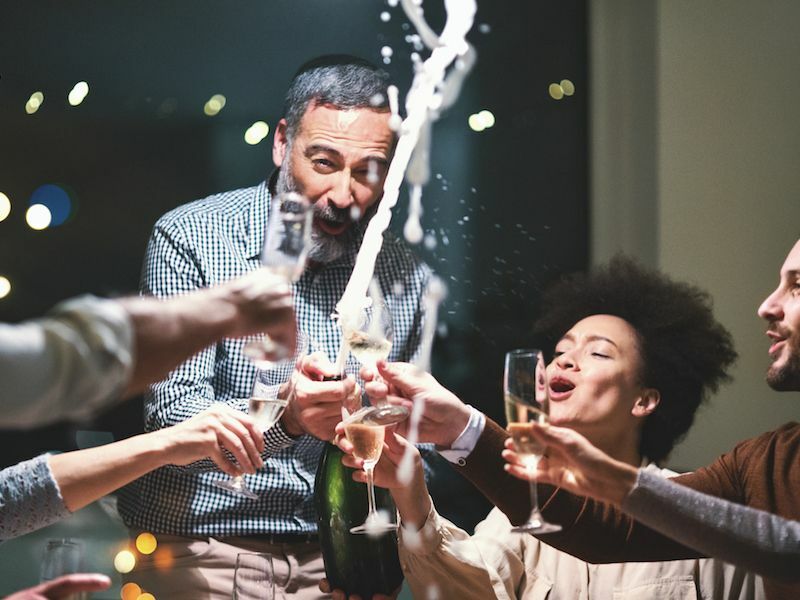 For many people drinking too much alcohol makes tinnitus symptoms more evident because it tends to increase your blood pressure. Infections; There’s a long-standing commentary about the need to cure the common cold, specifically since a lingering cold can quickly change into a sinus infection. Infections in both the sinus and ears have been known to intensify tinnitus, so make sure you’re doing everything you can to limit your exposure to infections. Smoking; Your blood pressure can definitely be raised by smoking. In addition, it can narrow the blood vessels to the ears, which can make tinnitus symptoms more severe. Dangerous blood pressure levels; Keeping track of your blood pressure is an essential preventive strategy that can help keep you safe from many conditions, but it also just may keep your tinnitus symptoms in check. You should be persistent about routinely checking your blood pressure because both high and low blood pressure can worsen tinnitus. Excess earwax; There’s no doubt that earwax is helpful in the in the overall health of your ears. Actually, the sludge we all hate actually catches dirt and protects your ears. In spite of this, tinnitus can get worse if too much wax builds up. To make certain it doesn’t build up to a dangerous amount, your doctor can clear some of it out and help with prevention. Certain medicines; Certain medications such as aspirin, as an example, are good at reducing pain but they might also trigger tinnitus. Tinnitus can also be impacted by other medication such as prescription cancer drugs or antibiotics. However, you should always talk with your physician about any issues you’re having before dropping a prescribed medication. Loud noises; This one probably seems obvious, but it’s worth reiterating that loud noises can worsen the sounds you’re already hearing internally. Be cautious of circumstances where you’ll be exposed to sounds at an increased level. This can include concerts, loud restaurants, and construction sites. If you can’t abstain from loud settings, think about using earplugs to shield you from some of the noise. Earplugs can be very helpful for individuals whose job involves working around loud machinery. Jaw issues; If you’re having pain in your jaw, you should already be consulting a doctor, but especially if you also have tinnitus. Minimizing jaw pain may have some impact on your tinnitus because the jaw and ears share nerves and ligaments. Poor sleeping habits; When mom said you should get your eight hours of sleep each night, she wasn’t joking. Sleep is another crucial aspect of a healthy life that offers a wide range of benefits, including helping to avoid triggers of tinnitus. You can take back your life and manage your tinnitus symptoms even though there is no known cure. Give these 10 recommendations a try, and you may be pleasantly surprised with the improvements in your symptoms and your overall health. If these don’t help, make an appointment with a hearing care professional. Do Rechargeable Hearing Aid Batteries Actually Work? Rechargeable hearing aids are manufactured so that you’ll need to stress less about losing battery power, but the technology may also make you slightly anxious when you depend on your devices to hear. Do rechargeable hearing aids work as well as marketed or do they even work at all? Those questions are reasonable, as is the accompanying anxiety. A hearing aid is often as necessary for the enjoyment of a tv show or a movie as it is for a trip to the supermarket or any other part of daily life. When a piece of technology affects so many areas of your life, it’s essential that it work correctly and dependably. Most modern-day hearing aids have rechargeable batteries by default, so if you purchased your hearing aids recently it’s likely that your hearing aids will have one of two battery types. Silver-zinc batteries, which have a battery door on the back of the device, are rechargeable, but every so often they have to be replaced. A Lithium-ion battery, however, will last for the duration of the life-cycle of the hearing device and, because of that, those devices will not have that distinguishing battery door. For the most part, rechargeable hearing aids do work, and they work well. The reliability of these devices has enhanced significantly in the last several years, as battery technologies have improved. As with any other electronic device, however, there are a few easy maintenance steps that users can take to increase the reliability of their rechargeable hearing aids. The Charging Station is Where Your Hearing Aids Should be Kept: If your hearing aids have rechargeable batteries, you can extend the battery life of your device by ensuring that you regularly store your hearing aids on their charging station. The long term battery life is not shortened by charging a battery that is not fully drained.As a matter of fact, you can actually improve the life of the battery by making sure your hearing aids are charging when not in use. A convenient reminder, for many people, to charge their device when not in use, is to set the charging station on a table near their bed. Keep Your Hearing Aids Clean and Dry: No matter how often you use or do not use your hearing aids, they have plenty of occasion to gather dust, debris, and moisture. Your hearing aid may not fully charge if it is exposed to any of these three things. When connecting your hearing aid to your charging station, as with any other time, it’s a must to keep your device clean. Be Mindful of Wires: Either the hearing aid itself or the charging station will have some type of wire element on most hearing aids. Being careful of these wires is crucial for hearing aid users; the connection that enables the device to charge can be broken if you pull on or hold it by the wires. 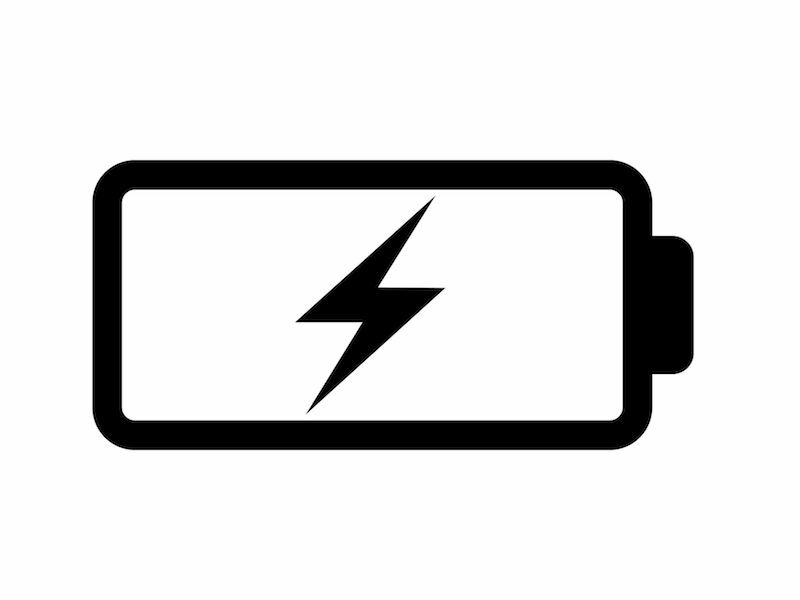 Lithium-ion batteries will normally last the lifespan of your device. As a result, you shouldn’t have to worry about changing those batteries. Your hearing aids can then be simply charged as long as needed. Keep batteries in a room temperature spot that is also certain to be dry. Ensure you wash your hands before changing your hearing aid batteries. Clean and free of moisture is the state that your battery compartment should be kept in. Don’t get rid of any packaging or plastic tabs until you’re ready to use batteries. Let the batteries sit out at room temperature for at least five minutes before removing any tabs that might be attached. Leaving your hearing aids on the charger for extended periods of time is no longer the way to store your hearing aids. Just unplug your hearing aid and store it in a dry cool spot if, for example, you know you won’t be using them for several weeks or a month. If your hearing aids use silver-zinc batteries, you may also think about leaving the battery door open in order to stop moisture from corroding your batteries. For most people, and for everyday use, charging your hearing aids once per day should be adequate for all of your requirements. To get 24 hours worth of battery life with a lithium-ion battery will usually only require 3-4 hours every day. Do rechargeable hearing aids work? Not only do they work, but rechargeable hearing aids will likely become more and more common and dependable as the technology continues to develop. To see all the different models, get in touch with your local hearing aid retailer. When technology quits working correctly, that’s when we tend to notice it the most. That’s especially true with hearing aids: To most people who wear them, hearing aids are more than a piece of technology; they’re a vital lifeline to the rest of society. It’s both emotionally and physiologically important to discover solutions for malfunctioning hearing aids as quickly as possible. Troubleshooting can be a difficult, risky process whether you’ve been wearing them for a week, a year, or decades. But there are some reasonably easy measures you can try to get your hearing aid working properly again. Hearing aids are no exception to the rule, like any other piece of tech, they require regular maintenance. Even though the casing might look simple and robust, the electronics inside can be amazingly sophisticated. Because of this you need to keep them well maintained. As you’re wearing your hearing aids, there are a few things you can do that will make taking care of them simpler. Your ears naturally and normally make a certain amount of wax every day. And, the ear wax is, to a certain extent helpful for your ears. But it’s not so great for your hearing aids. Keeping your hearing aids clean and clear of wax can help improve the life of the devices. The fact is that most hearing aids will come with a built-in wax filter that should also be periodically cleaned. Moisture and electronics don’t mix well. And despite the best protection technology can produce, consistent exposure to moisture can gradually wear out the internal electronics of your hearing aids, compromising their performance. This means that you shouldn’t use your hearing aids in the shower or while in the pool. Additionally, if your hearing aids do get wet, towel-dry them; heat from a hairdryer, for example, can harm your hearing aids. Hearing aids are sensitive (and commonly expensive) technology, and as such, they call for specialized cleaning practices. A specialized cleaner can better accomplish certain things that you can’t, even if you’re fairly thorough about your cleaning routines. Every 4-6 months is the recommended time between cleanings. Even if your hearing aids are presently working, you will still be required to take preventative steps. But if you’re having problems, if your hearing aids aren’t working well anymore, you’re most likely more interested in some quick fixes. Check your own ears. Sound from your hearing aid could be blocked by earwax buildup. Adjust the volume. There will be either a volume dial on the hearing aid or a remote you can use for this. Try both if you have the option with your hearing aid. Examine your hearing aids for noticeable signs of damage, like blemishes or cracks. Your hearing aid might need to be repaired if you find any of this type of damage. Replace your battery or power source, even if your batteries are rechargeable. Check your hearing aid for wax or debris accumulate. Gently wipe away any wax or debris you may find. Check for corrosion or loose wiring inside the battery compartment. Any extensive damage will need to be fixed by a professional but you can attempt to clean off any corrosion you discover. Turn your hearing aid of then back on. This will correct the issue in certain cases. Change the settings or toggle between programs. Many hearing aids are different in this respect, so your response will depend on the model you have. It’s likely that you will need to get the device repaired professionally if you want it back to peak performance if none of these tips help. What if Nothing I Try Works? You will most likely have two options if you’ve tried to troubleshoot your hearing aid and it still doesn’t work: either send the hearing aids in for repair or purchase a new pair of hearing aids. The age of your hearing aids, your personal situation, and other factors will establish which option will work best for you. If your hearing aids aren’t functioning properly right now, take the time to try some troubleshooting. If that doesn’t work, you can go on to the next steps, including a discussion with a hearing specialist to determine a solution. Make an appointment to find a solution today. It’s a regrettable fact of life that hearing loss is part of getting older. Roughly 38 million people in the United States have some form of hearing loss, but many people choose to simply ignore it because it’s a normal part of getting older. Neglecting hearing loss, however, can have serious negative side effects on a person’s entire health beyond their inability to hear. Why do many people decide to just live with hearing loss? 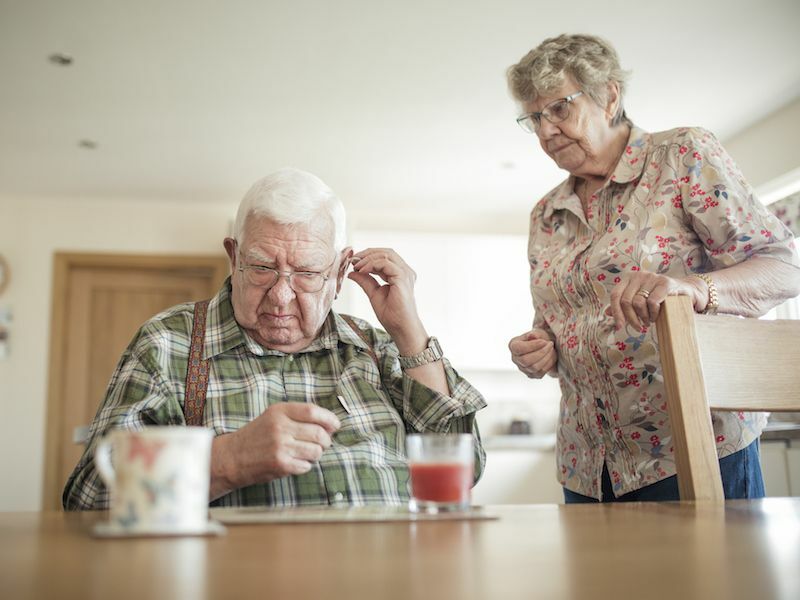 According to an AARP study, more than one-third of senior citizens think of hearing loss as a minor issue that can be dealt with easily enough, while more than half of the respondents cited cost as a worry. However, those costs can increase astronomically when you take into account the significant side effects and conditions that are triggered by ignoring hearing loss. Ignoring hearing loss has the following negative side effects. Most people will not immediately connect the dots from fatigue to hearing loss. They are commonly in denial and will attribute their fatigue on things like aging or a side-effect of medication. The reality is that the less you are able to hear, the more your body works to make up for it, leaving you feeling tired. Imagine you are taking an exam such as the SAT where your brain is totally concentrated on processing the task at hand. When you’re done, you likely feel drained. When you struggle to hear, the same thing happens: during conversations, your brain is working to fill in the blanks – which is generally made much more difficult when there is a lot of background sound – and as you attempt to process the conversation, you use up valuable energy. This type of persistent exhaustion can affect your health by leaving you too run down to take care of yourself, leaving things like going to the gym or cooking healthy meals difficult to accomplish. Johns Hopkins University conducted a study that linked hearing loss to , accelerated brain tissue loss, and dementia. While these links are not direct causations, they are correlations, it’s thought by researchers that the more cognitive resources used trying to fill in the blanks of a conversation, the less the resources available for other things like comprehension and memory. And as people age, the increased drain on cognitive resources can accelerate the decrease of other brain functions and contribute to gray matter loss. Also, having a regular exchange of information and ideas, often through conversation, is thought to help seniors stay mentally tuned and can help slow the process of cognitive decay. The discovery of a link between loss of hearing and a loss of cognitive functions is promising for future research since the causes of these conditions can be determined and treatment options can be developed when cognitive and hearing specialist team up. The National Council on the Aging conducted a study of 2,300 seniors who suffered some form of hearing loss and discovered that paranoia, anxiety, and depression negatively impacted the emotional health more often than those who don’t have hearing loss. The connection between loss of hearing and mental health problems makes sense since people with hearing loss commonly have trouble communicating with others in family or social scenarios. This can lead to depression after suffering from prolonged feelings of isolation. Because of these feelings of exclusion and solitude, anxiety and even paranoia can be the result, specifically if neglected. Hearing aids have been shown to help in the recovery from depression, however, anyone suffering from depression, anxiety, or paranoia should consult with a mental health professional. All the different parts of our bodies are one interconnected machine – an apparently unconnected part can be affected negatively if another part quits working as it is supposed to. This is the situation with our hearts and ears. For instance, hearing loss will take place when blood does not flow easily from the heart to the inner ear. Diabetes, which is also connected to heart disease, can impact the inner ear’s nerve endings and scramble messages from the ear to the brain. 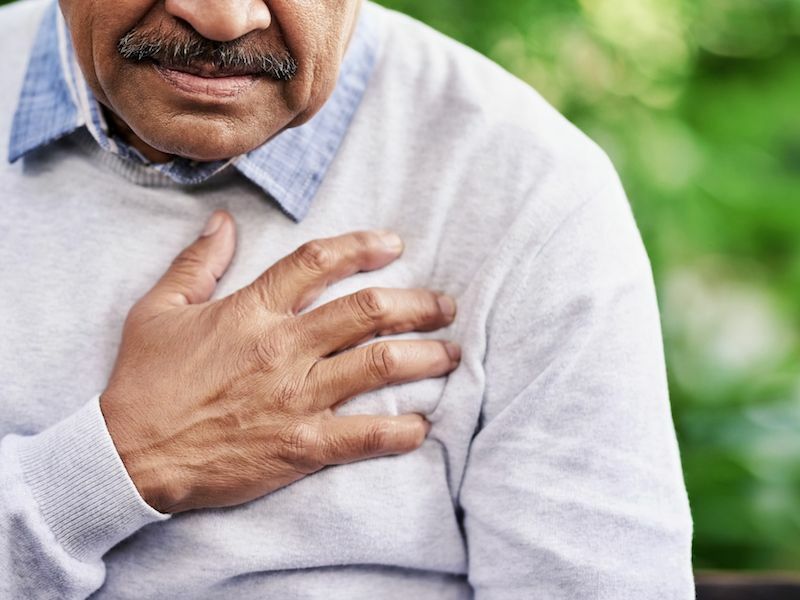 In order to ascertain whether loss of hearing is caused by heart disease or diabetes, if you have a family history of those illnesses contact both a hearing expert and a cardiac specialist because ignoring the symptoms can cause severe or even fatal repercussions. Please contact us if you are having any of the negative effects listed above or if you have hearing loss so we can help you live a healthier life. Make your appointment for a hearing test. In seniors who have loss of memory or diminished cognitive function, the inherent fear of Alzheimer’s disease runs rampant. 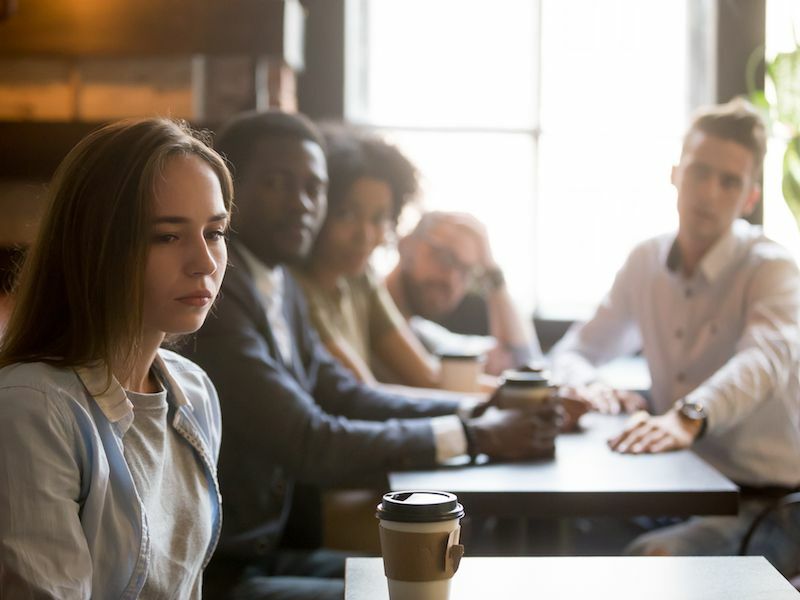 However, the latest research suggests at least some of that worry might be unfounded and that these problems might be the consequences of a far more treatable condition. According to a report that appeared in a Canadian medical journal, the symptoms that actually may be the consequences of untreated hearing loss are sometimes mistaken as the consequence of Alzheimer’s. For the Canadian study, researchers closely analyzed participant’s functional capabilities pertaining to thought and memory and searched for any links to possible brain disorders. 56 percent of those assessed for cognitive impairment had minor to extreme loss of hearing. Surprisingly, a hearing aid was worn by only 20 percent of those. These findings are backed up by patients who think they might have symptoms of Alzheimer’s according to a clinical neuropsychologist who authored the study. 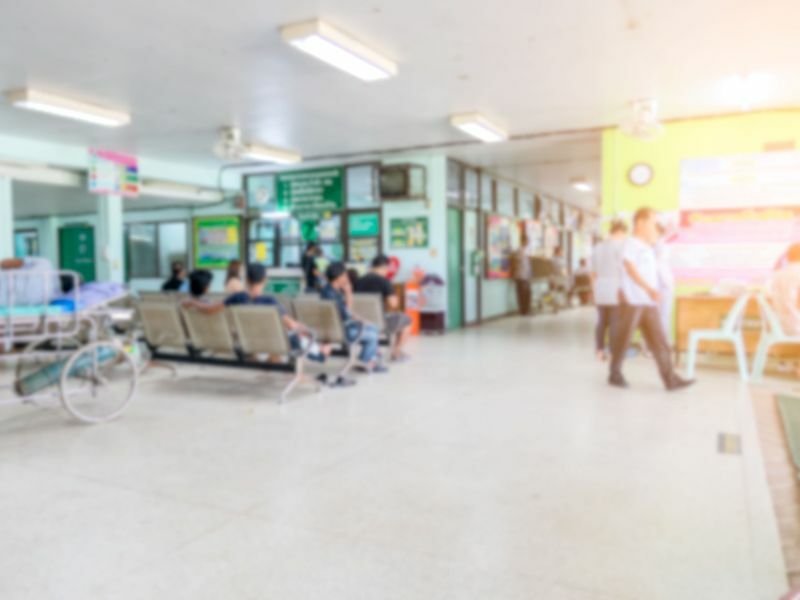 In some instances, it was a patient’s loved ones who recommended the visit to the doctor because they observed memory lapses or shortened attention. 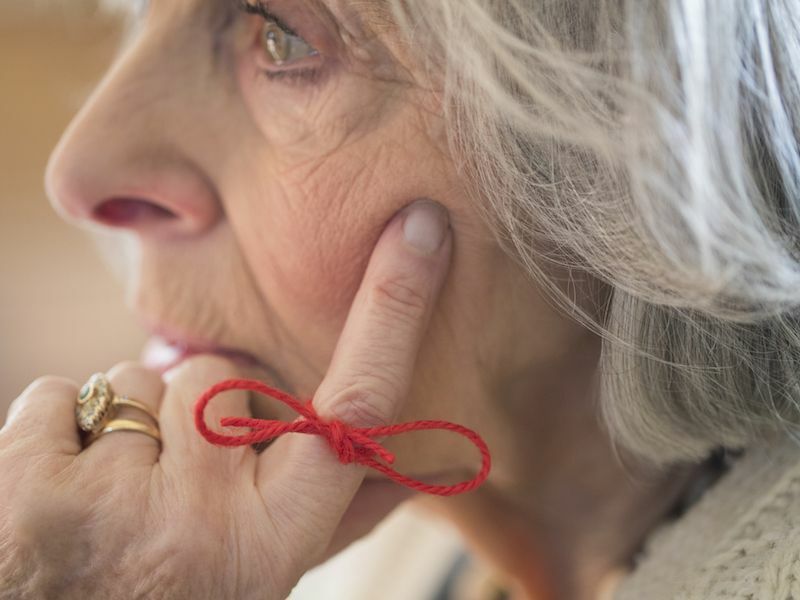 While loss of hearing might not be the first thing an older adult thinks of when faced with potential mental damage, it’s easy to understand how one can confuse it with Alzheimer’s. Having your friend ask you for a favor is a situation that you can be easily imagined. For instance, they have an upcoming trip and are looking for a ride to the airport. What would happen if you didn’t hear their question clearly? Would you ask them to repeat themselves? Is there any way you would know that you were supposed to drive them if you didn’t hear them the second time? It’s possible that some people could have misdiagnosed themselves with Alzheimer’s because of this type of thinking according to hearing specialists. Instead, it may very well be a persistent and progressive hearing problem. Simply put, you can’t remember something that you don’t hear in the first place. It’s not surprising that people of an advanced age are experiencing these problems given the correlation between aging and the likelihood of having hearing loss. The National Institute on Deafness and Other Communication Disorders (NIDCD) states that only 2 percent of adults aged 45 to 54 have debilitating loss of hearing. Meanwhile, that number goes up considerably for older age brackets, coming in at 8.5 percent for 55- to 64-year-olds; 25 percent for 65- to 74-year-olds; and 50 percent for those 75-years or older. While it’s true that progressive hearing loss is a normal part of growing older, people commonly just accept it because they believe it’s a part of life. The truth is, the average time it takes for someone to get treatment for loss of hearing is about 10 years. Worse yet, less than 25 percent of people will actually purchase hearing aids even when they actually need them. Do I always need to increase the volume on the radio or television to hear them? If there is a lot of background sound, do I have a problem comprehending words? Do I stay away from social situations because having a conversation in a loud room is hard? It’s important to note that while loss of hearing can be commonly confused with Alzheimer’s, science has shown a conclusive link between the two conditions. A Johns Hopkins study tested the mental abilities of 639 people who noted no cognitive impairments, then followed their progress and aging for 12 to 18 years. The research discovered that the people who experienced worse hearing at the onset of the study were more likely to get dementia, an umbrella term used to describe symptoms of diminished memory and thought. Getting a hearing assessment is one way you can prevent any confusion between Alzheimer’s and loss of hearing. The current thought in the health care community is that this assessment should be a regular part of your annual physical, particularly for those who are over 65. Have Any Questions About Hearing Loss? We can help with a full hearing evaluation if you think there is a chance you could be confusing loss of hearing with Alzheimer’s. Schedule your appointment for an exam today.